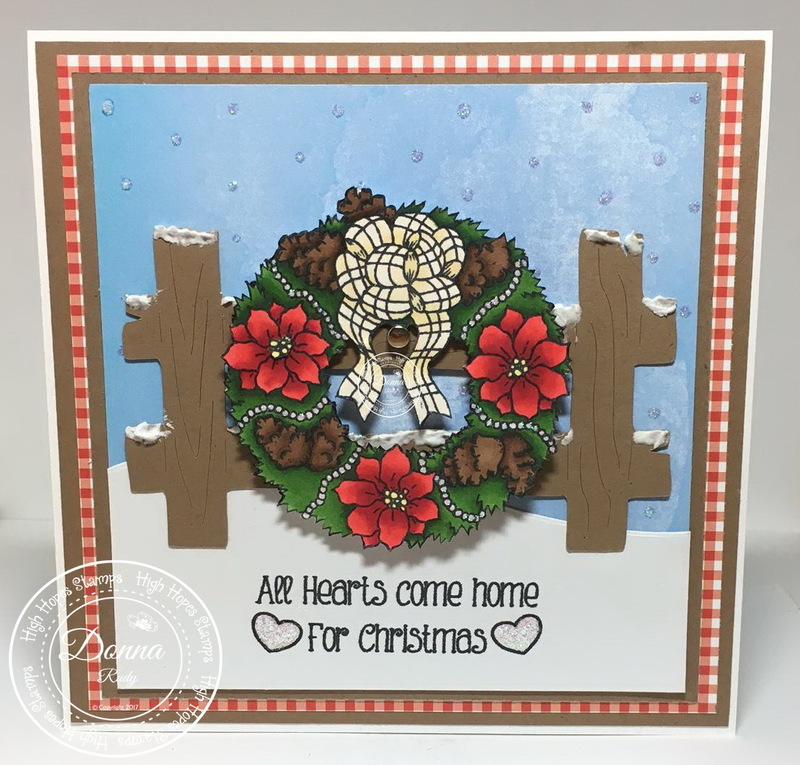 My post for this week is one more Christmas in July card featuring "Festive Wreath". I love driving around and looking at Christmas decorations. This wreath had a country feel to me so I pictured it on a fence. Where I live, it is very common for people to hang wreaths on the cedar rail fence they have near their homes. It is also common to see a tractor out in the middle of a field covered in Christmas lights...... but I personally love the wreaths. I started by colouring my stamp with alcohol markers and hand fussy cutting it with manicure scissors. I added some Stickles to the beads and clear Spectrum Sparkle pen to the bow. Some glittery snow on the fence and in the blue sky behind add just the right amount of bling. I added a silver brad to the fence so it looked like the nail head used to hand the wreath. Some sparkly Stickles in the hearts with the sentiment help tie everything together. Don't forget! The "So Much Cuteness" new release is shipping now. Follow this link to browse and order you High Hopes stamps. 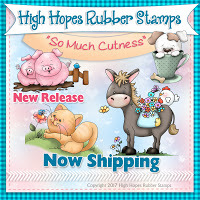 High Hopes Rubber Stamps website. Wow what an awesome wreath!! I've never seen this stamp but it's on my "list" now! Love the fence with the little snow tops too! That red plaid peeking through just sets it off perfectly! Another awesome creation!